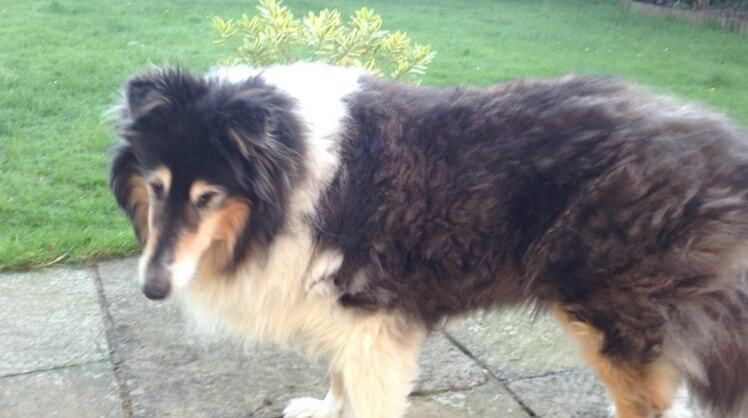 Having lost our collie last year (at nearly 16 years old) I am really missing having a dog around but want to think carefully before committing to another one. When I do it will probably be a rescue dog as the number of unwanted dogs in rescue homes really upsets me. I sponsor two dogs in Dogs Trust and am looking into voluntary work with dogs. a semi rural village surrounded by open fields and woods. I live alone but my grown up children visit frequently and I childmind my one year old grandson two days a week. I will tailor walks to the breed, size and age of your dog, taking into account the routine he/she is accustomed to. I have a large house with a good size, securely fenced garden (and a large utility room for drying out muddy paws). I understand what it is like to worry about leaving your dog. I have been a dog owner for the past 35 years and always found going on holiday stressful as I didn't like the idea of kennels and worried about leaving her somewhere she wouldn't be happy, especially when she was old and became confused and stressed with any change in her routine. I often look after friends' and relatives' dogs when they are away and treat all visiting dogs as if they were my own and part of the family. Lola had a fabulous time with Sally. She was so well looked after and clearly loved Sally’s company. It really was home from home. Lola spends most of her time with us so we weren’t sure how she would react. We didn’t need to worry at all. We would highly recommend Sally and will definitely ask her to look after Lola again. Lola would certainly enjoy it. Thank you Sally.